Annie has had a life path devoted to personal growth and service to humanity. Her studies have led her to investigate the beauty of diverse paths to Spirit and to numerous highly esteemed spiritual teachers. She has had an amazing journey, filled with miracles and Spirit phenomena. She has been assisting others to transform their lives, through her readings and emotional healing energy work since 2002. She is a sought-after speaker on the Akashic Records and presents for many National Spiritual Expos. Her clientele includes numerous professional mediums and psychics. Spirit works through Annie with joy and honesty - always a straight-shooter and filled with compassion. Known for her amazing accuracy, Annie is dedicated to assisting her clients in their personal transformation and enlightenment that has earned her a loyal following. She connects with loved ones and spirits that have passed away, and her ability to connect to spirit with such great clarity and detail allows her clients to truly feel the presence of those loved ones who travel with them, often receiving much needed communication and guidance. She is an expert in the Akashic Records. A Conscious Channel that brings forward information from The Records with joy and love. She loves to connect you to the guidance, wisdom and healing contain in your Akashic Record. This is the place of wisdom that is now available to everyone.This is your Divine map that empowers you. Connecting to your soul's plan and gaining understanding, helps you move forward with more clarity in your life and a deeper understanding. Sessions with Annie are interactive and will bring you a higher level of understanding with your animal companions. Behavior problems, health issues, death and dying, euthanasia concerns, or even if you just want to check in and see how they are how they are doing. Annie is a top tier psychic - medium. The best medium I have come across ...ever. I would not hesitate to recommend her services. Her phone readings are as good in person sessions. The bottom line is: Annie is the real deal ! Annie answered questions that I had without me even asking them!! She was spot on, very sweet, loving, and caring when she delivered messages from my dad and my husband's grandmother. She is extremely gifted, I am so happy that I got to chat with her. What an amazing woman. Will definitely contact her again!! Annie is Amazing,, Clear, Authentic, with an Extremely strong connection to the other side. Highly recommended Kevin San Diego CA. Annie is extremely gifted. I have had a few readings with her over the years, and when I listen back to the recording after time has passed, I am stunned by her accuracy. She is very kind and knows how to deliver information in a very supportive way. I have referred friends who have no experience with mediums, and all of them have been very pleased. I would highly recommend her to anyone. Annie brought an uplifting breath of light to my grieving heart. She was very accurate in her perceptions and brought insight to my current situation. Thank you, Annie. WOW, ACURATE- HONEST, I WAS BLOWN AWAY, WAS TOLD ABOUT THINGS THAT NO ONE ELSE WOULD KNOW !!! For connecting with a passed loved one or dipping into the Akashic Records, Annie brings a high level of integrity and skill into her sessions. I recommend her very highly and she has excellent psychic skills to assist her also. Having had sessions with many mediums, I appreciate that mediums can be very good, but may not have the psychic ability of Annie to add that potential depth or clarity to the sessions. That could be very helpful. And the cost is reasonable to boot!! Annie has a true gift. She gives her readings with kindness, compassion and at times humor. She was spot on with my loved ones in spirit and gave me some healing information that I really needed. I would give her my highest recommendation to anyone wishing to connect with their loved ones in spirit. I can't thank you enough Annie. Annie is unbelievably accurate. She recently read my husband and myself and we both will vouch that Annie doesn't cold read. She is definitely in contact with our Akashic Record Guides and our loved ones who have crossed over. Incredible is how I would describe my reading with Annie! It's truly stunning how much clarity and accuracy she has during readings. She is very warm and personable. I would highly recommend her. Annie is the real deal. Thank you for sharing your gift with us Annie. 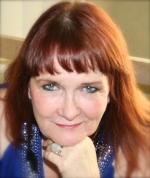 If you need a reading from a real psychic - medium ,I highly recomend Annie her readings are spot on. The best I have found. I met Annie when I lived in California and was going through some very difficult times. Now 6 years later and life going much better I still consult with Annie regularly. She has been very insightful, patient, kind, funny and has true communication with the other side. She delivers messages and predictions with great accuracy and individual attention. I would highly recommend and encourage anyone to have a session with Annie, she is wonderful and knowledgeable with a true gift! My Grandmother & I went to see Annie for a "Mediumship" session. We were hoping to contact and communicate with my 96 year old Aunt (my Grandma's sister) that had passed. Annie absolutely blew us away with the messages she gave us from my Aunt. Annie is no doubt very gifted and the "real" thing. I have been to many psychic's in my life so I can honestly say that Annie is truly exceptional. I would highly recommend her to anyone.